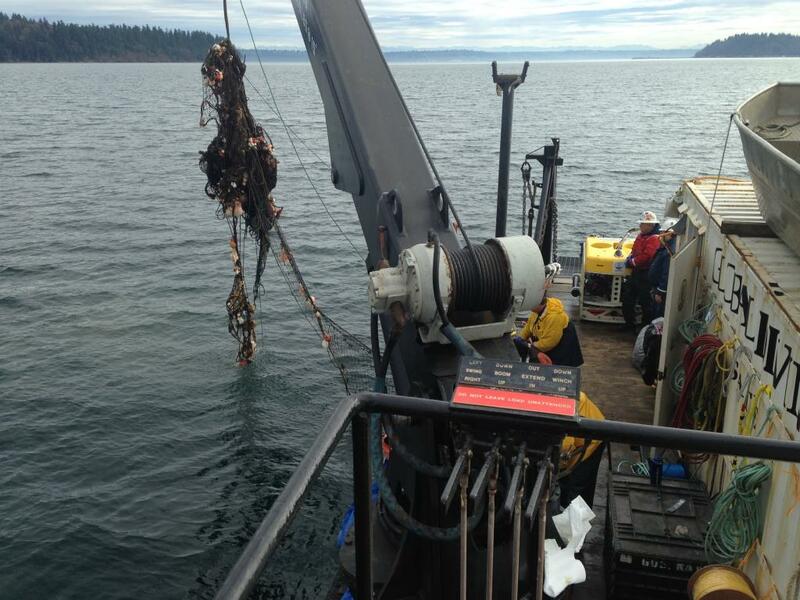 ROV Assisted Derelict Fishing Net Removal - Global Diving & Salvage, Inc. The Pacific Northwest has a thriving fishing industry. Unfortunately, sometimes boats are forced to abandon their fishing nets due to rough weather or snags. 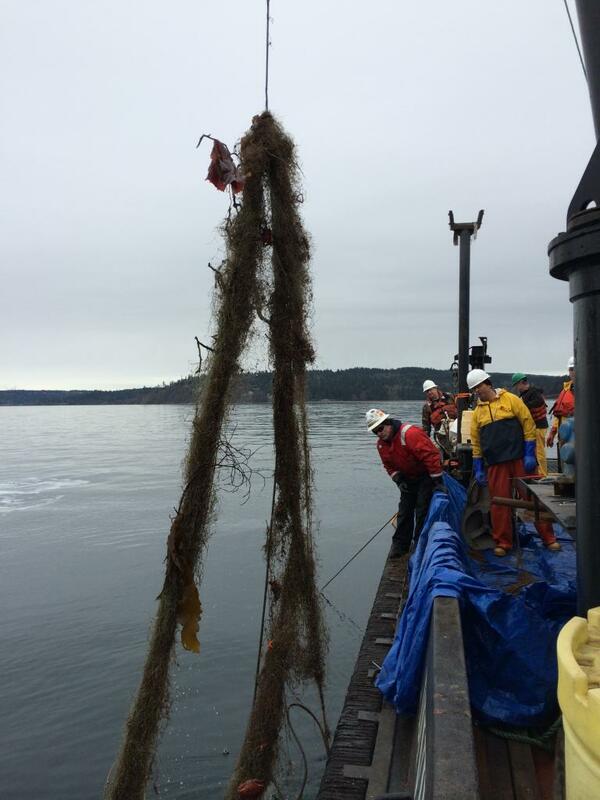 Over the last few years, volunteer divers have removed more than 5,600 derelict fishing nets from the Puget Sound, at depths up to 105 feet, yet many more remain in deeper water. 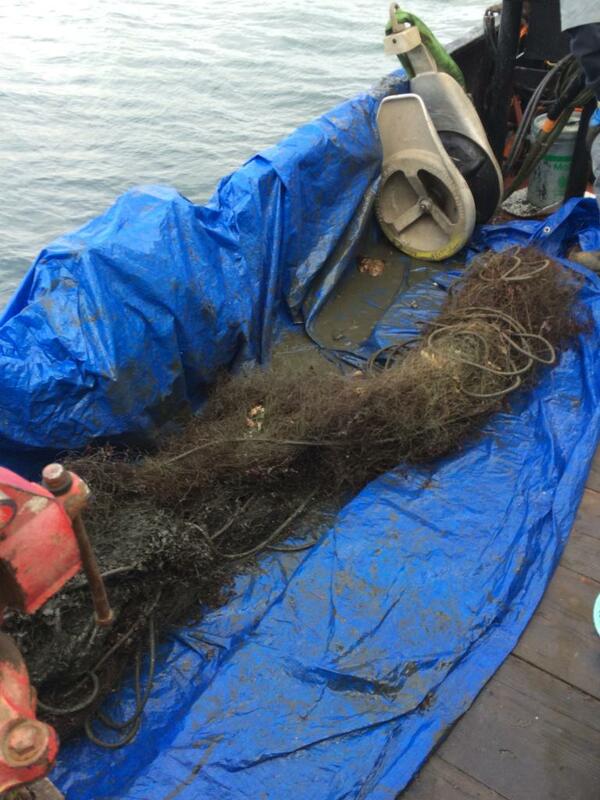 Global Diving & Salvage, Inc, working with Natural Resources Consultants for the Northwest Straits Foundation, decided to try a more high-tech method to remove the derelict nets from areas that couldn’t be reached with routine diving equipment. They developed custom tooling and a plan to remove the nets using two of Global’s ROVs, the SAAB Cougar and the SAAB Falcon. 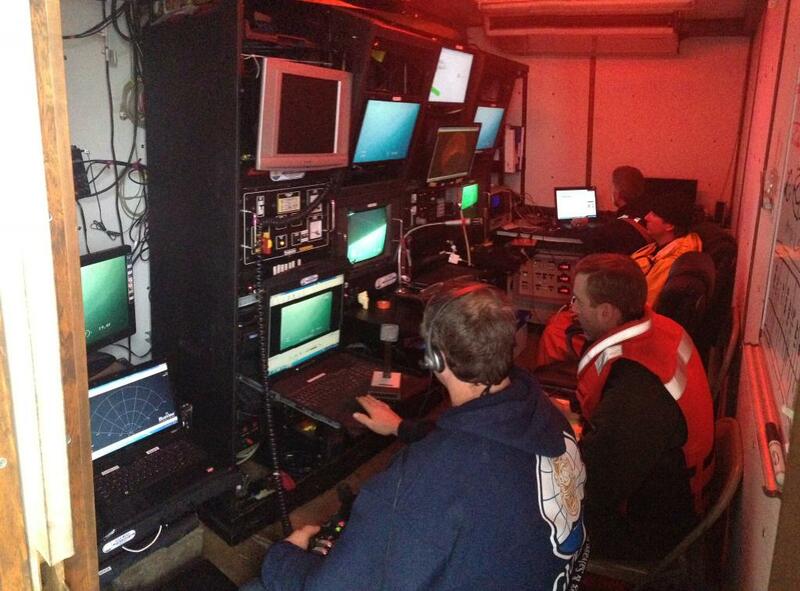 The team used the ROVs to survey the nets first, then used the ROV’s manipulator arm and cutting tool to gather and cut the nets free from the obstacles they snagged on. Once the nets were cut free, they were gathered and connected to a line from the vessel-mounted crane. The balls of net were then raised to the surface for proper disposal. This pilot program was developed to test the feasibility of ROV assisted net removal and improve the methods and tools required.